Justin Bieber and Hailey Baldwin might be married under the eyes of the law — but they don’t think they’ll truly be until they proclaim it under the eyes of God. 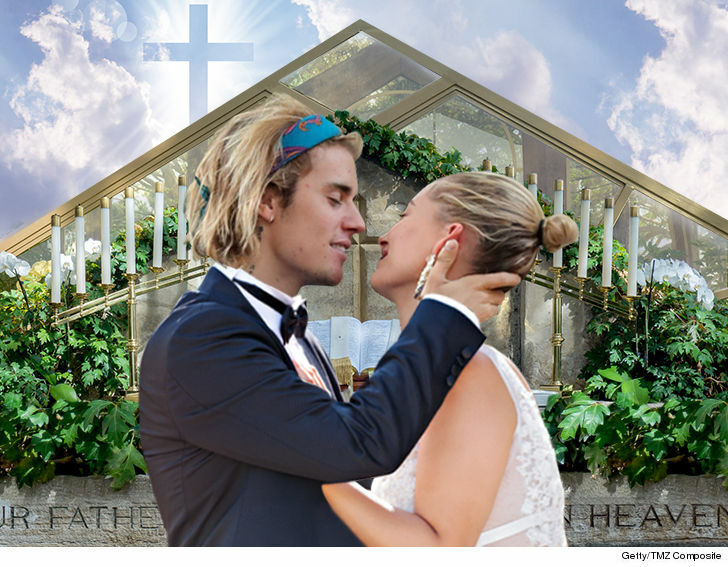 Our Bieber/Baldwin sources tell us Justin and Hailey don’t consider themselves “officially” married … because they haven’t cemented their vows with the man upstairs. We’re told they believe a church ceremony is necessary to make the marriage meaningful in the eyes of God. We broke the story … Justin and Hailey walked into a marriage license courthouse in NYC last month where, as it turns out, they also got the document that made them man and wife … despite denying — both publicly and behind the scenes — they were hitched. What’s unclear … if they don’t really feel “married” until they have a church wedding, why did they even bother to do it at the courthouse? As we reported, Justin and Hailey inquired about a prenup and even contacted lawyers, but they never followed through. They could get a postnup — which is like a prenup only after they’re married — but our sources say at this point it’s the furthest thing from Justin’s mind. We’re told the plan is to have a big ceremony early next year … either in upstate NY or Ontario, Canada.